EHR Meaningful Use and Stage 2 Guidelines - Outsource Management Group, LLC. 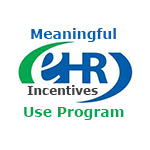 January has brought upon the EHR (electronic health records) Stage 2 incentive programs start for physician and medical practices. However, there is a great deal of concern that those doctors who can meet Stage 1 requirements will not be able to meet the Stage 2, because their EHRs are not up to standard and neither are the vendors that they deal with. There are 2200 products and almost 1400 EHR certifications for Stage 1, but only 75 products and 21 EHR certifications for stage 2. Around 90 percent of the vendors are expected to not be ready for stage 2. Stage 2 is the second step of meaningful use for medical professionals. Once you have established meaningful use in Stage 1 requirements, you have to demonstrate meaningful use under the requirements of Stage 2. For those Medicare providers. CAHs and eligible hospitals will have a 3 month reporting period that is fixed quarterly. For EPs it will be a fixed calendar year to align with their existing CMS such as Inpatient Quality Reporting and Physician Quality Reporting. Record patient’s family health history (EP Only). Identify and then report cancer cases to a State cancer registry (EP Only). Identify and report specific cases to a specialized registry other than the cancer registry (EP Only). Generate and transmit allowable discharge prescriptions electronically eRx (This is only for new eligible hospitals and CAHs) . Provide planned electronic lab results to ambulatory (This is only for new eligible hospitals and CAHs). Within 4 business days patients will be able to view online, download and transmit their health information (EP Only). Within 36 hours after discharge from a hospital, patients can view health information online and download (Only eligible Hospitals and CAHs). Use CPOE (Computerized Provider Order Entry) for medication, radiology and laboratory orders. Record the smoking status of all patients 13 years of age or older. Use clinical decision support to improve performance on all high priority health issues/conditions. Provide clinical summaries for the patient for every office visit. Protect electronic health information created or maintained by Certified EHR technology. Incorporate clinical lab/test results in Certified EHR technology. Generate a list of patients with a specific condition to use for quality improvements, research, outreach and reduction of disparities. Use clinically relevant information to identify patients who need to receive reminders for preventative and follow up care. Use certified EHR technology to identify patient specific education resources. Provide summary of care record for every transition of care and/or referral. Submit electronic data to immunize registries. Providers who refer/transition a patient to another setting of care or provider of care must provide a summary of care record for more than 50% of those transitions of care and referrals. The EP, eligible hospital, or CAH that transitions or refers their patient to another setting of care must either conduct one or more successful electronic exchanges of a summary of care record with a recipient using technology that was designed by a different EHR developer than the sender’s, or conduct one or more successful tests with the CMS-designated test EHR during the EHR reporting period. In Order to Show Meaningful Use Under Stage 2 Criteria. Eligible hospitals and/or CAHs are required to meet 16 core objectives along with 3 menu objectives selected from a complete list of 6, or alternatively 19 core objectives. Eps are required to meet 17 core objectives and 3 menu objectives selected from a complete list of 6, or alternatively 20 core objectives.